Demons are a well-known cause for spiritual blockage. Less well known are spiritual structures. This video explores the nature of structures and how to resolve them. Cost includes 428 days of access after purchase date. There are two ways to block your progress. One is to have somebody standing in front of you who is bigger and stronger and won’t let you by. The other is to put a wall around you so that you can’t move forward. This is a picture of the difference between demons and structures. We are most familiar with the range of sentient creatures that block our progress, and rightly so. They must be dealt with. But spiritual structures in our body can hugely block our spirit, soul or physical functions. This teaching explores a variety of structures such as the barrier between dominion and intimacy, on a macro level, or a limiting structure around the thalamus on a micro level. In addition to diagnostics, there is a discussion about how the structures came in and how to remove them. The Holy Communion service is warfare specifically designed to address structures and remove them. Relieved of MTBI migraine overnight! I have been recovering from and MTBI (Concussion) for 2 months and was diagnosed with post concussive syndrome. I've had a migraine since the night of the accident and struggled with working memory and concentration. My once uncanny ability to multitask turned into frustration with the slightest distraction. After listening to the first Wholeness video and falling asleep during some parts, my spirit understood what to do; I woke up with a symbol in my mind of one of the blockages, a massive clog about the size of sidewalk chalk sticking straight out of the middle of my forehead! I prayed and by morning I woke up for the first time virtually headache free! I still need to deal with other brain structures as the Holy Spirit reveals and I need to watch the second livestream on Leviathan and the brain but I needed to share this early victory with the team! Thanks for all of your research and thoroughness. Although this whole message is new, fresh and powerful, the one thing that landed deeply for me was the issue of a possible structure between spirit and soul - you might think you have no discernment (I thought so for years) Not true! You were actually designed by God to have regular and functional communication between your spirit and soul! Amazingly life changing and awesome tools and insight! The brain is an amazing, mysterious world of awe, in need of healing and freedom, too, and a spiritual center. This live stream opened pathways of connection we are meant to live in, to enjoy a oneness with not only ourselves but with God, and reap the results of such powerful transformation. 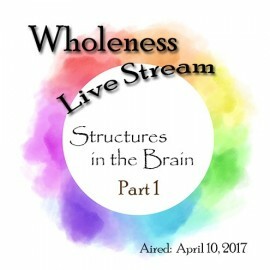 Because of the spiritual nature of it all, this live stream was for me a more intensely spiritually event, and like a beautiful symphony and flow which branched out in a few directions, including a healing flow. To attempt to describe things in the spirit with articulation from the soul can be frustrating, if it’s even possible, but this doesn’t diminish the reality. For me, physical manifestations also occurred during this event, in tears, some bodily pangs, and then an interesting type of slow breathing. Really big, intense, and deep. Some things just aren’t meant for human language, and or me this live stream is one of them – Beautiful, truly God-sized, way beyond words. These live streams do that kind of thing! And the communion…. WOW…. just wow. And that was my thought at the beginning of the teaching. The teaching on why it is so important to give the Godhead all Glory Honour and Praise, is mind blowing and then also too the benifit to us secondly..
Do you think you are as tall as you should be? Did you know that a spiritual structure can block your growth? A spiritual structure can also block you from a good maternal relationship. And it can keep you from walking in dominion. There is more to deliverance than demons. Structures matter too.